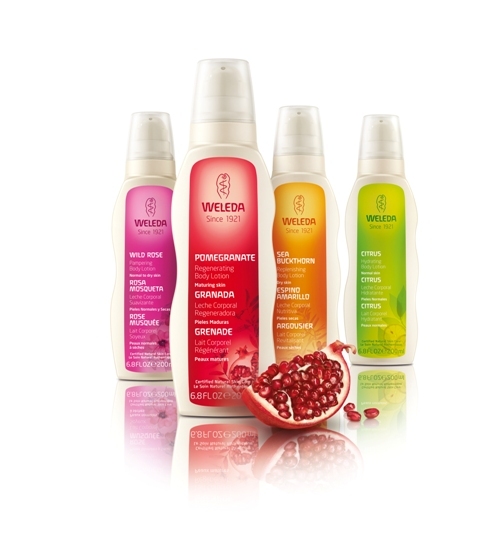 Here’s an eco-fabulous gift any woman on your gift list this season will love – the new Indulgent Body Lotion Kit from Weleda! Featuring the four rich, luxuriously soft new lotions, including Weleda Citrus Replenishing Body Lotion, Sea Buckthorn Replenishing Body Lotion, Wild Rose Pampering Body Lotion, and Pomegranate Regenerating Body Lotion, this is the perfect present to pamper Mom, Grandma, your best friend, or your favorite office pal! It makes an appreciated and lovely gift. Why do we love the new Indulgent Body Lotion Kit at Tiny Green Mom? 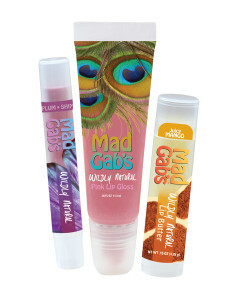 Each scent is crisp and clean, and the lotions leave your skin feeling extremely soft and radiant. Plus, each lotion offers an unique formulation for different skin types. You can find Weleda products at your local Target store, or you can purchase online at Weleda.com. Full sizes (pictured above) of each lotion are available, as well! Heartfelt Gift Ideas that Don’t Cost a Penny! Short on cash this holiday season? The following list includes some heartfelt ideas that have little or no cost! In some cases, these gift ideas might be even more special to the recipient than a store bought gift. • Write a letter telling each family member what they mean to you. Put it on nice paper and frame it in an inexpensive second hand store frame with a photo of the recipient. My teens (now in their 20’s) saved their letters that I wrote them and still have them so don’t believe it when they tell you it is corny. Affirmation is a great gift. • Make CD’s of your favorite music selections personalized for the recipient. Don’t use pirated music. • Offer a coupon to be a work- out partner for a friend or relative and keep each other accountable for your exercise goals. What is better than planned time with people that are important to you and you can get healthier in the process? • Give the family heirlooms away before you die. 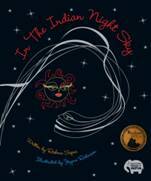 Instead of keeping Grandmother’s crystal in the cupboard give this special family gift to others to use and enjoy. • Give a coupon to wash windows this spring…or some other dreaded job. • Give your kids a coupon for one week of no bed making or other hated chore. • Make gift opening a scavenger hunt. On Christmas Eve hide all the packages around the house, make clues for how to find each, and let everyone look for their gifts on Christmas morning. 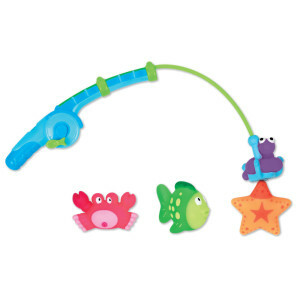 This stretches out the gift opening time and can cause some creativity and great laughs. 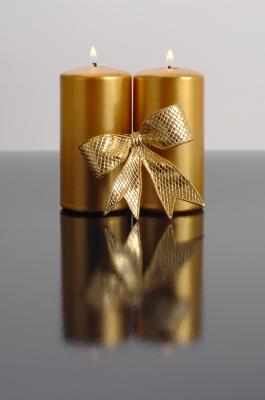 • Don’t buy decorations until after Christmas this year and save up to 75% for next year’s celebration. • For family gatherings, schedule the family gift exchange and gathering for after the holidays and purchase those gifts with the post-holiday discounts. • Make Christmas ornaments using school or family pictures of loved ones and decorate them with ribbon or felt. • Have an ugly ornament exchange. Everyone brings an ugly ornament to hang on the tree and then a vote is held for the most notorious. 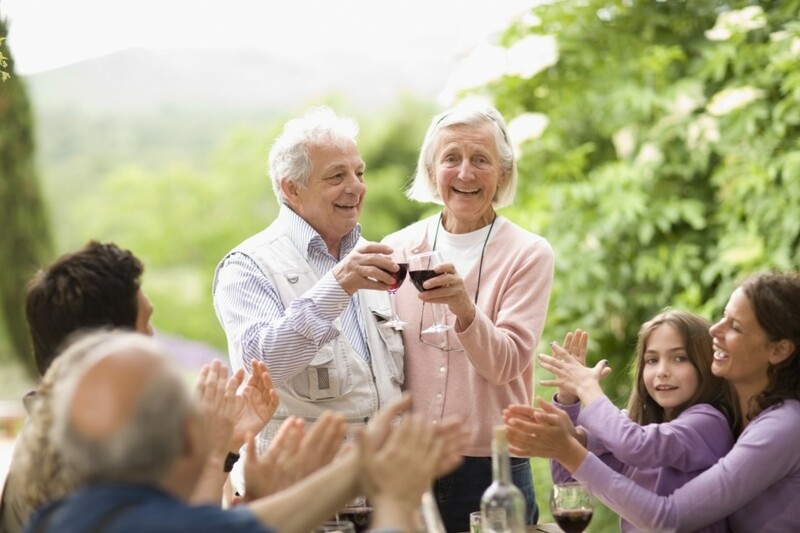 • Give the gift of time to attend events by giving coupons for activities for an elderly family member or young child. • For the family member that has everything, make a donation in their name to a special charity or a charity of their choice. • Volunteer with your family at a local non-profit agency. 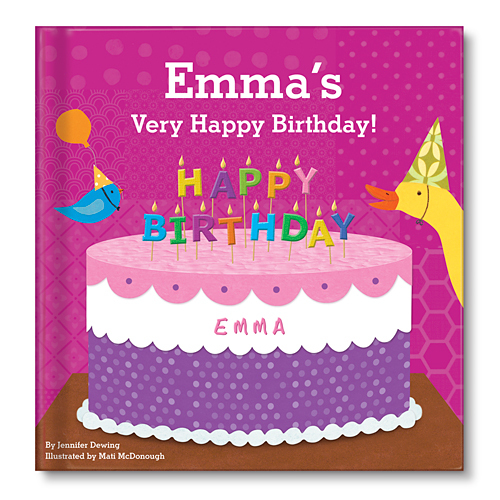 • For the writers in your family create a journal with notebooks, paper and a front cover decorated with a photo. • Start a scrapbook of family or friend photos and give it to the recipient to continue to add to through the year. • Offer to babysit for the young couple on your list. • Give an inexpensive recipe box filled with family recipes. Or do this one better and give a recipe and all the fixings to make a special meal or dessert. The holidays can be filled with fun and gifts, even if you don’t have much money to spend. http://tinygreenmom.com/wp-content/uploads/2018/07/logo-sm.png 0 0 Tiny Green Mom http://tinygreenmom.com/wp-content/uploads/2018/07/logo-sm.png Tiny Green Mom2011-12-22 07:00:512011-12-20 10:38:35Heartfelt Gift Ideas that Don't Cost a Penny! 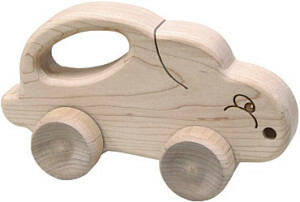 Want to give a green, eco-friendly gift that will be absolutely adored by your children this Christmas? 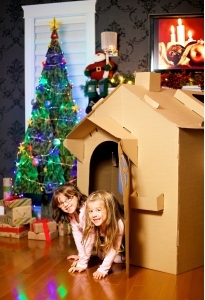 Put together a Cardboard Playhouse by Cascades Boutique and have it sitting next to the tree for everyone to discover on Christmas morning! 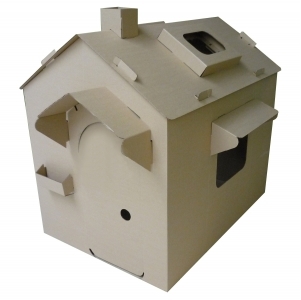 This charming indoor cardboard house is not only made from 100% recycled corrugated cardboard, but it is an art project waiting to happen! Little ones can get creative and transform it into their own little home by decorating it as they desire with crayons, paint, stickers, and more! 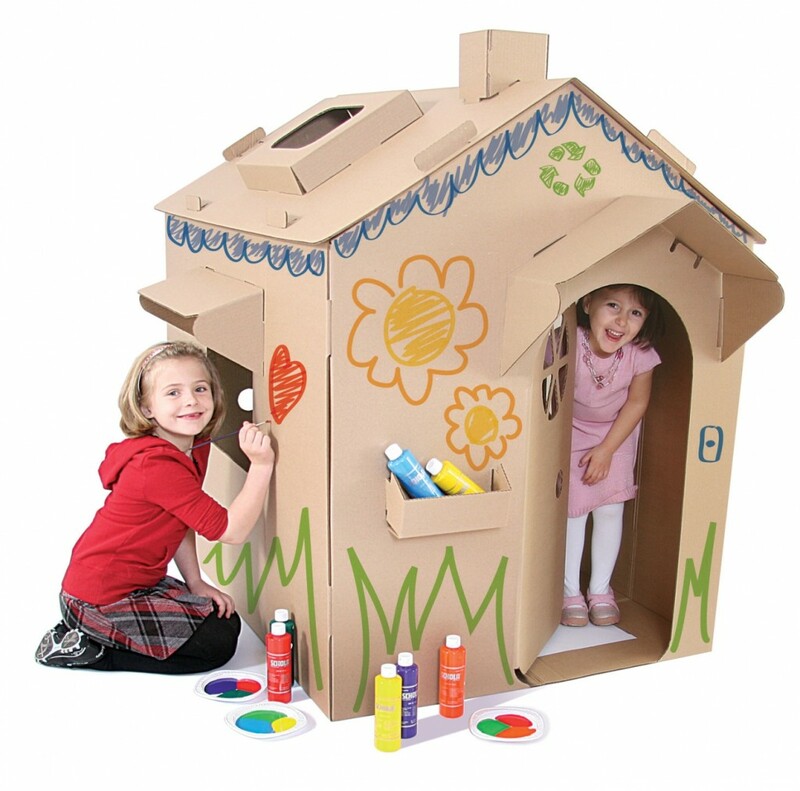 The Cardboard Playhouse is fully recyclable when it finally has seen its’ last day, and much safer and more resistant than an ordinary cardboard box. It is large enough for a parent to get inside for a tea party, too! At “Mom’s” house, the cardboard playhouse has become a permanent fixture in the dining room as that was the only space large enough for the home. At Halloween, creepy cobwebs were draped all over it to make a tiny haunted house! Now, for the holidays, there is a colorful string of lights hung all around the playhouse to make it festive. As much space as it is taking up, it has become “Mom’s” little one’s favorite place to play, and is constantly filled with stuffed animals for imaginary picnics and tea parties! Lightweight and easy to assemble in just 10 minutes, this affordable cardboard playhouse will definitely be a hit this season! 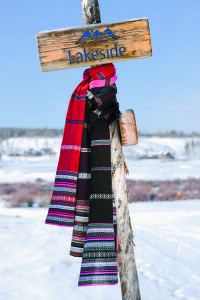 Priced at $48, it is available for purchase at boutique.cascades.com. From gifts that give back on a global level to sumptious luxury knits and organic skincare products, the earth-conscious woman on your gift list will certainly be pampered when receiving one of these eco-chic items this season! 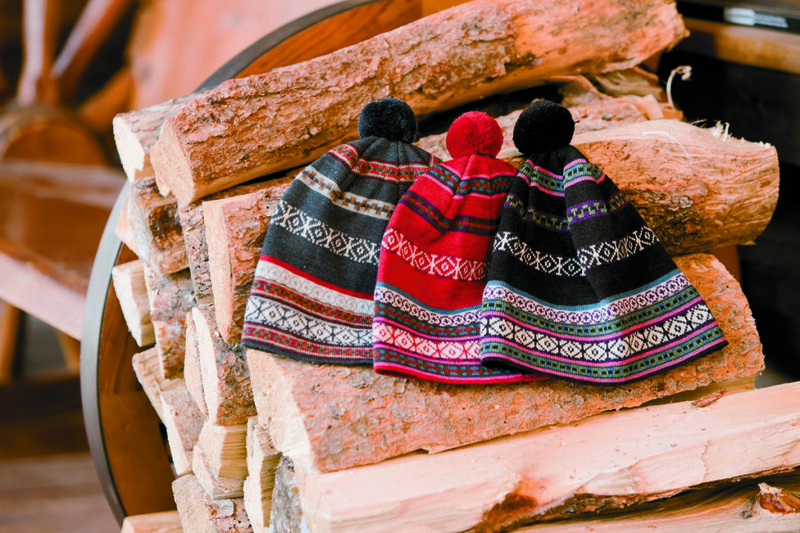 Made from scrumptiously soft, washable Merino wool, the Pippy Pom Hat and matching Pippy Scarf are a luxurious gift for the planet-friendly gal this season! Lightweight and simply gorgeous, the high-quality of these knits have been crafted using the finest of natural fibers by a highly skilled group of knitters, and the workmanship is exceptional. Available in Charcoal, Ruby, or Black, you will be tempted to buy a matching set for yourself, too! Visit Krimson Klover. Want to give a gift that will also help to make a difference in the lives of families around the globe? 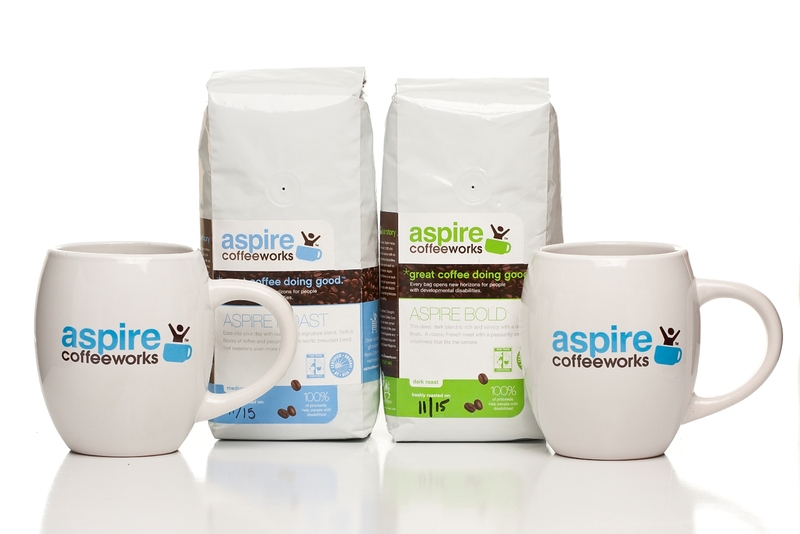 Give the gift that truly gives back – the Fair-Trade Coffee Set from World Vision. Chosen as a “Maximum Impact Fund Gift,” the gift of this set to a globally conscious friend or loved one this holiday season will help to answer specific, urgent needs of children and families that might otherwise go unmet. With each sip of coffee from Ethiopia, Sumatra, and Costa Rica blended by OneCup.org, the recipient will know that their gift is more than just a cup of java! 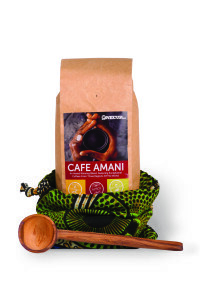 This unique and appreciated gift is packaged in a bag of African fabric hand-sewn by local women, and accompanied by a hand-carved olivewood scoop made to benefit over 200 orphans of the Kamba tribe. It is the perfect size to tuck in a stocking! Learn more about World Vision at www.worldvision.org. Talk about pampering at its’ finest and most pure! Treat dry winter skin to moisturizing and certified organic skin care products from Miessence! Made with 100% natural and organic ingredients, any item from the Miessence line will be a welcome surprise in her stocking on Christmas morning! Some of our favorites include the Intensive Body Cream, which contains organic shea butter blended with organic avocado and sunflower oils, and will nourish skin in seconds, and the Sunflower Body Wash, which will perk you up in the morning with its’ invigorating scent of Orange Peel, Lemon Peel and Lime Peel oils! View the entire Miessence collection at OrganicGlow.com. The season to give to our friends, family and loved ones is upon us! 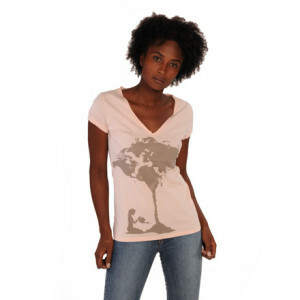 “Mom” at Tiny Green Mom has selected her top picks for the eco-minded woman in your life! For the active gal who prefers to tread lightly upon the Earth while walking, biking or even playing tennis – the kigo flit is an environmentally sound and extremely stylish choice! With a Mary Jane look, the flit is made of post-consumer recycled materials and non-toxic dyes and glues. Shopping early? On Cyber Monday, you can receive 25% off site wide with the code HOLIDAYKIGO. 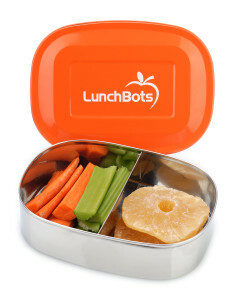 A great find for your office pals, LunchBots are super cool lunch containers that are plastic-free and made from the highest quality stainless steel. Perfect for those who love variety, the orange Duo and yellow Pico feature a divider to keep everything in its place. Pack crackers and cheese, fruit and nuts, and all your favorite snacks to go. For the eco-activist, Lonesome George & Co. creates bold organic tees & eco-accessories that make a statement from production through to everyday wear! Rockin’ one of their super-soft t-shirts is sure to inspire – choose from a variety of messages, from Agent of Change to Fuel the Future. Men’s, women’s and children’s sizes available. 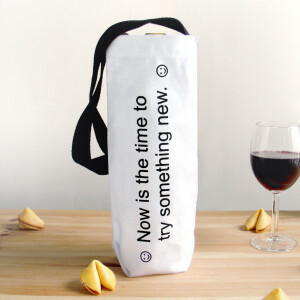 These Fortune Wine bags are perfect for housewarming gifts and holiday get-togethers! Xenotees has come up with a truly eco-friendly, whimsical packaging alternative to cheap throwaway bags you see at wine stores. 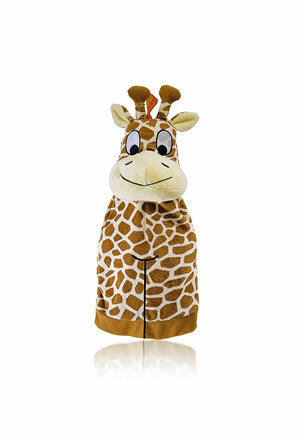 You can comfortably fit a wine or champagne bottle and they make great conversation pieces! Need something for the boss, mother-in-law, or older sister who can’t make it without their cup of java? 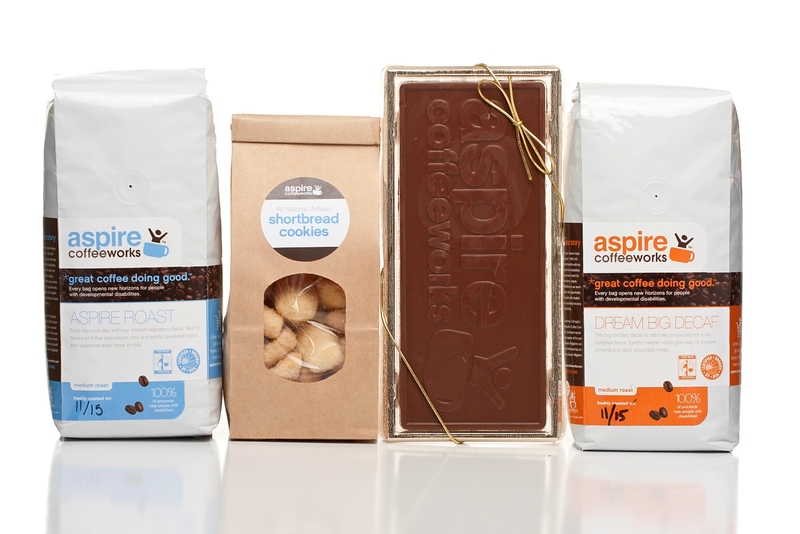 This gift basket from Aspire Coffeeworks fits the bill with 2 pounds of certified organic, fair trade coffee packaged alongside 6 ounces of handmade chocolate from Chicago’s renowned Fudge Pot and 6 ounces of delicious, all natural artisan shortbread cookies. For the eco-urbanite, the Spotty Saky for Ocean Futures is a gift that will be appreciated and used daily! 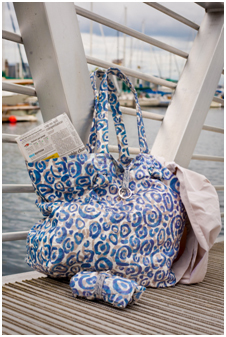 Not only does the purchase of the Spotty Saky give back to Ocean Futures, but this durable bag can hold up to 25 lbs. while shopping in the city! 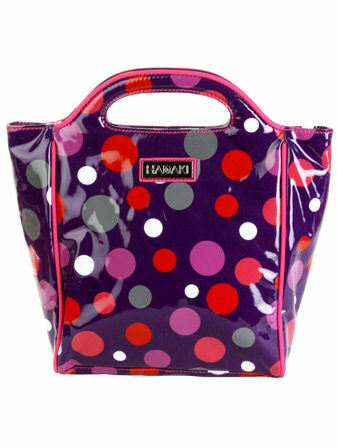 From groceries to gym gear, the Spotty Saky is as fashionable as it is functional! Know a budding baker or aspiring chef? 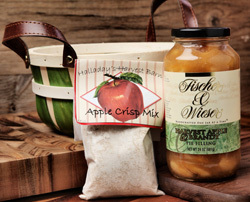 Give her this lovely Harvest Apple Basket from Fischer & Wieser – filled with Harvest Apple & Brandy Pie Filling and Apple Crisp Mix. Packaged beautifully in a reusable basket, this is one gift that was meant to be shared! For your newly graduated daughter who is working at her first internship, the stylish and reusable Insulated Lunch Pod by Hadaki will be a welcome gift! Say good-bye to the boring brown bag – this planet-friendly and AZO-free tote is definitely a keeper! Available in 20 bold, bright color combinations and patterns. Fun stocking stuffers for your tween, teen, little sis, the new Wildly Natural line by Mad Gab’s includes Lip Butters, Lip Shimmers, and Lip Glosses in juicy flavors. 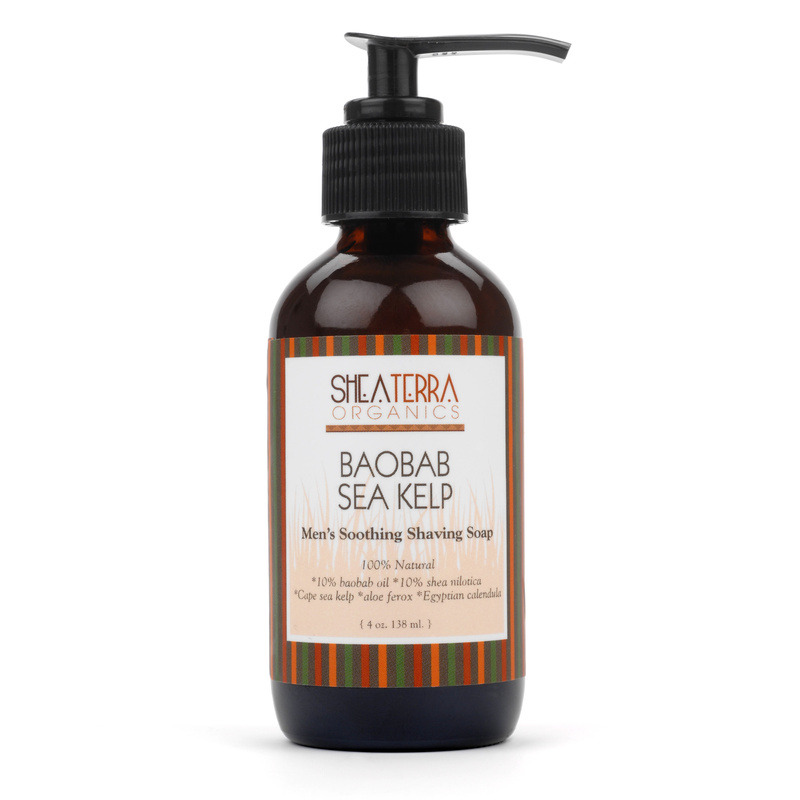 Made with moisturizing shea butter and organic oils, the new line of products come packaged in clear recyclable plastic containers. Did we mention how incredible they smell?! While any dad is proud of the crafts his children make for him as Father’s Day gifts, it is particularly nice to give him something that is personalized and full of love. There are many possibilities, none of which is a wallet or gardening equipment. 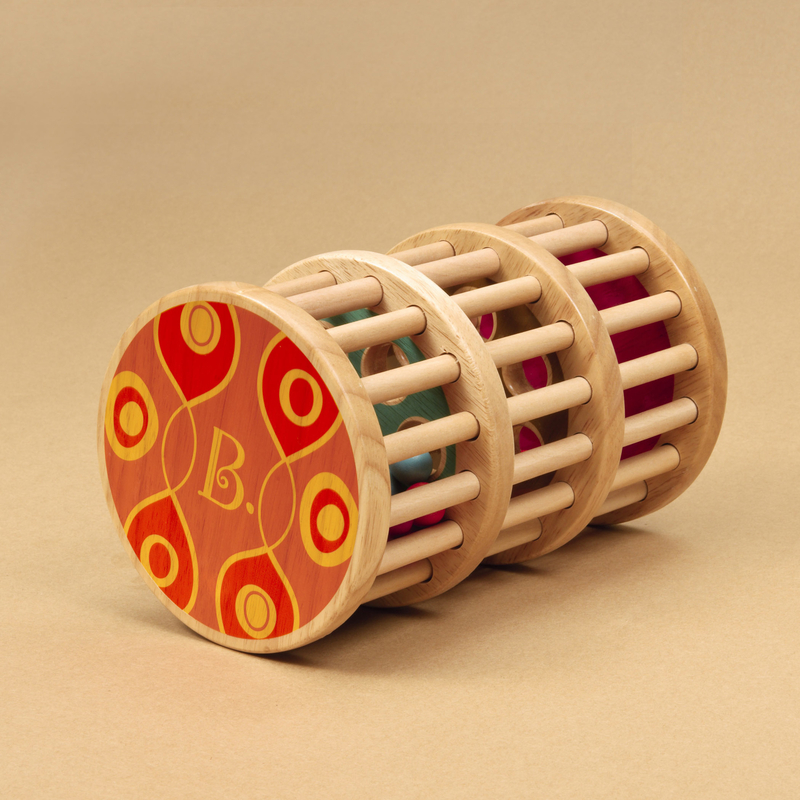 When Father’s Day nears, sometimes ideas can be hard to settle on, so there are a few nice crafts outlined below to give kids some good possibilities. 1. Create a special place mat for meals on Father’s Day. You can take a piece of fabric, cut out to the correct size, and paint a family scene on it or simply decorate and spell out ‘Happy Father’s Day’ with magic markers. Smaller children can help by making little handprints with finger paint. A gift like this is also wonderful for framing after the day is gone, so that it doesn’t get lost in the shuffle. 2. Forget buying a tie – bake a cake! You can buy a plain sheet cake at the supermarket or help the kids bake it themselves, then carefully cut it into the shape of a neck tie and re-frost it. The tie-shaped cake can be decorated with Dad’s favorite candies. Fine-tipped icing tubes are useful for writing a sweet message on the top. If Dad is diabetic, there are some wonderful online recipes that are appropriate for diabetic diets. 3. A memory book is a thoughtful craft for Father’s Day. It doesn’t have to be as fancy or complicated as a traditional scrapbook – it can be made of regular printer paper or construction paper folded over or stapled at one side to create a book. To avoid damaging cherished photographs, you can scan them and have the kids use copies. 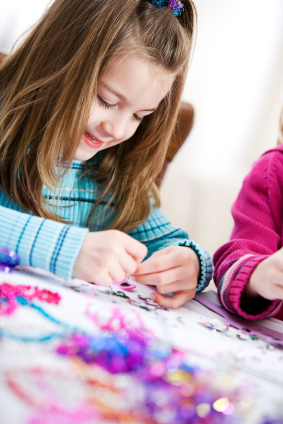 If the children have memories that they want to include but that there are no photos of, have them draw pictures of those memories to include. You can use stickers, ribbon, and markers to make borders for the photos or write down sweet messages for Dad to read. 4. Make a ‘Best Dad Award.’ Children can easily make this out of some cardboard from a leftover cardboard box. 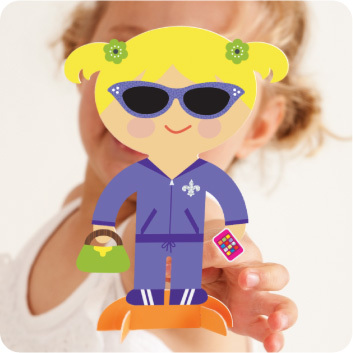 With cardboard, construction paper, markers, and stickers – and if you’re feeling brave, some glitter – they can make quite the nice Father’s Day trophy for their Dad. Gold star stickers and gold paint pens are particularly useful. If your children are competitive and can’t seem to make it work to create just one, this is a great, inexpensive craft project that can allow them each to make one. Dad will be gifted with a trophy from each child and the awards can make your kids proud when displayed on the mantle or on a shelf next to other trophies. 5. Help the kids to create a t-shirt that Dad can wear. You can find light colored t-shirts and undershirts for just a couple of dollars each, and with some fabric paint or fabric markers that can be made permanent, the sky is the limit! Whether your kids want to draw a scene or write out a Happy Father’s Day message of some variety, they can create a personalized shirt for any casual occasion that Dad will be proud to wear. A wonderful Father’s Day gift does not have to be expensive. It doesn’t have to end at ties, tools, or neckwear. While sophisticated, grown-up gifts are all well and good, sometimes it truly is the thought that counts when Dad opens up a gift made by little hands. Nicole Rodgers has been blogging for three years; she is finding great deals and coupons for her Father’s Day gift at Savings.com and she also enjoys helping her daughter make funny t shirts for daddy. 1. Make him a Love List. An all-time favorite gift for someone who has everything is simply a list of reasons why you love him. Set aside a half hour or an hour in a quiet place and think back on all the years you’ve had with Dad. Think about qualities that are unique to him, things he does for you, special times you’ve shared together. Your Love List can include big things and small things, funny things, and sweet things. Tell him you love that he always answers the phone with a hearty “Hey there!” That he taught you how to ride a bicycle when you were little. That he used to bring you home the doggie bag when he ate at fancy restaurants. Tell him you love his eyes, his intelligence, his love of puns. Tell him you love how well he treats Champie, the family’s four-legged, furry gal. If you want some ideas on how to present your love list once you have it written, check out this free video. There’s also a free download of a ready-made Love List template — all you have to do is fill it in! Alternatively, you could make a list of things you’ve learned from Dad. Same process as above. It could also be three top ten lists: what I love best about you, my favorite memories of times we’ve shared, and things I’ve learned. These lists are treasures for someone to hear. They are the best gift someone can receive! It is amazing to receive a gift that mirrors who you are. It is a gift to be seen. And unfortunately, people often don’t get to hear these kinds of things in their lifetime. For some reason in our culture, folks wait until funerals to express their love. Love Lists are a way to express your love and appreciation NOW! 2.Go for experiential, rather than material. The best gift to give folks who have everything is a gift that can be experienced together. Can you give Dad a handmade certificate good for a free jazz concert in the park, an upcoming outdoor summer festival, or a ride on the lake in your canoe? Does he have a favorite hobby that you can join in somehow? Could you plan an afternoon bike ride and the two of you bring your cameras to feed his love of photography? How about morning bird watching followed by a cup of tea at a local cafe? What people of any age, but especially adults, really want is quality time with people they love. Give Dad the gift of your time and attention. Another great gift for someone is something that helps him out. Again, think about a gift of time and effort. You could set up a new program on his computer or cook a gourmet dinner at his house. If you have handyman skills and you notice he needs something replaced, you could buy all the parts and do the work. You could make him a gift certificate good for “Three hours of at-your-service help around the house.” Think about your Dad and what kind of help or needs or what kind of help would make his life more fun. Need a few more ideas? 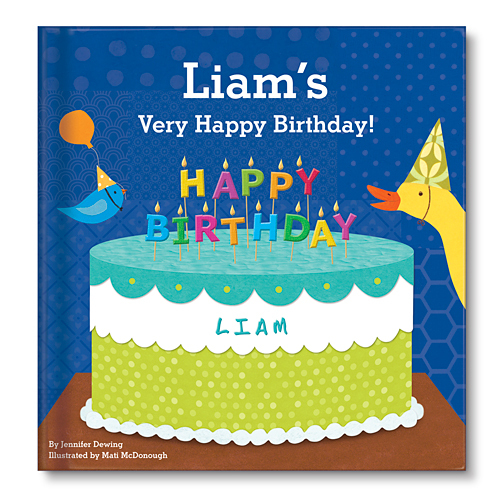 There are three more great ideas for you on the sample pages from the ebook, Present Perfect: 127 creative, one-of-a-kind, no-to-low cost, wow-em gifts they’ll never forget. Check out the samples and if you like what you see, you can download the book instantly for just $10. Sherry Richert Belul lives in San Francisco and is mom to a fabulous 10-year-old boy. Sherry is the founder of Simply Celebrate, which is dedicated to helping people find more joy, color, connection, and spontaneity in life. Simply Celebrate offers practices and products to turn ordinary days into an extraordinary life! Sherry’s current focus is helping people foster deeper relationships through conscious and creative gift giving. With Father’s Day just around the corner, the following 5 gifts for Dad are both practical and eco-friendly! All of these great finds can be purchased online for any last-minute shoppers. Protect dad while he shaves, with the new 100% natural soothing shaving soap. The enhanced formula includes Cape Aloe, Cape Kelp, and Baobab oil to help skin cells regenerate, prevent ingrown hairs and heal razor nicks fast. He’ll be thanking you for the perfect shave. 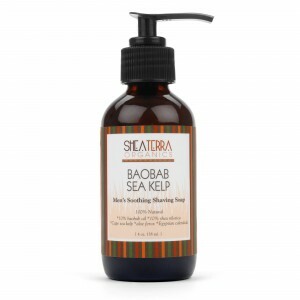 Available at www.sheaterraorganics.com for $18.00. Bobble makes an affordable and thoughtful gift for the active, on-the-go Dad. Bobble is an easy, eco-friendly and inexpensive way to stay hydrated while keeping single-serve plastic water bottle out of landfills. The reusable filter removes chlorine and organic contaminants from tap water, yielding a cleaner, crisper taste. Plus, it can be used up to 300 times before it needs to be replaced! 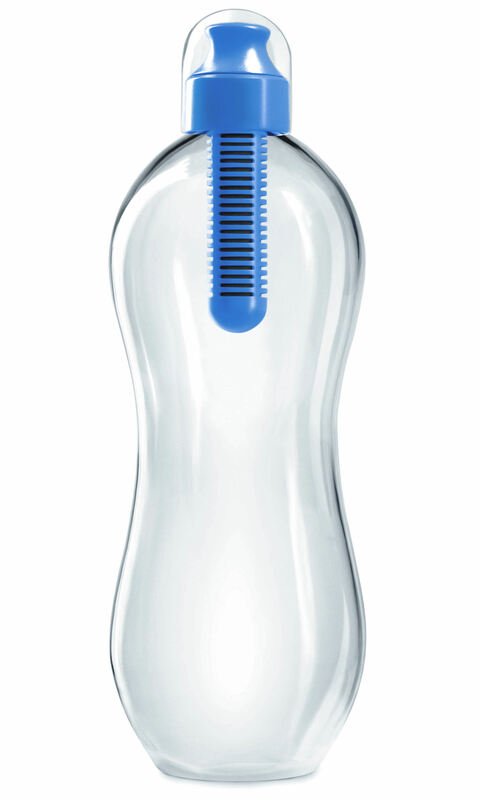 Bobble is available in 3 sizes, the original 18.5oz, a larger 34oz and a smaller 13oz. Bobbles retail at $9.95, $12.95 and $8.95 respectively. Bobble can be purchased in several retailers, including Target, Macy’s, Bloomingdale’s, Crate & Barrel, Bed, Bath & Beyond and online at www.waterbobble.com. 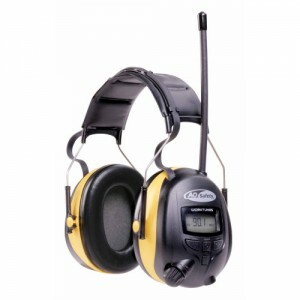 Whether it is jamming to his favorite music station, catching the ball game on the built in AM/FM Stereo Radio, or just listening to his tunes via his iPod, Dad can have a great time passing the time outside while keeping his ears safe from the harmful effects the volume of powers tools and lawnmowers can cause! Visit www.acehardware.com. For the modern Dad, EvolutionMAN offers an amazing collection of men’s skincare staples with everything from shave cream, to exfoliant, to man-friendly cosmetics! Created by famed celebrity Groomer Marco Berardini, EvolutionMAN leaves Dad feeling clean, fresh, and fantastic without the use of harsh, toxic ingredients. 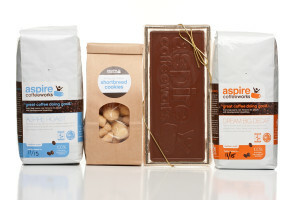 For Father’s Day treats and one-of-a-kind gift sets, visit www.evolution-man.com. 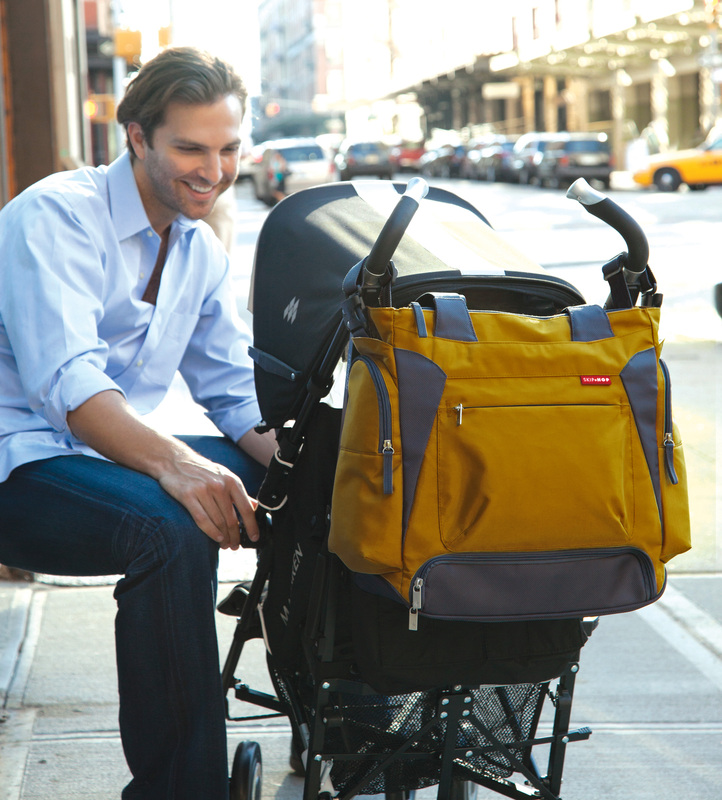 For the proud new daddy or expectant father, Bento is a sleek, functional diaper bag that will keep Dad organized when out and about with junior in tow. 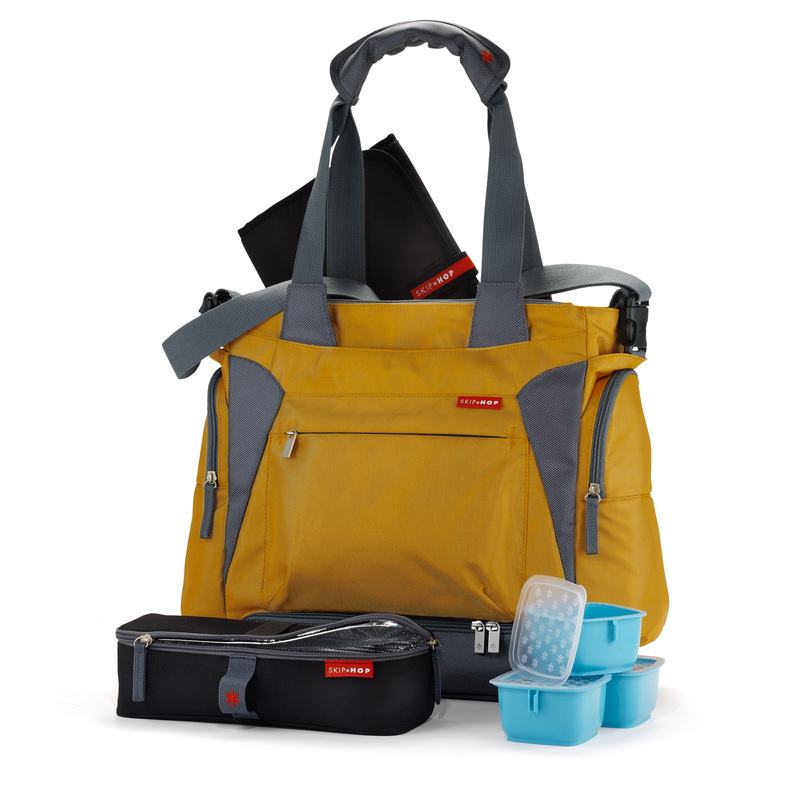 Designed from the ground up to be a total solution for today’s busy, multi-tasking families, the BPA-free Bento is not just a diaper bag. This innovative bag includes an insulated Mealtime Kit with Clix containers, which slides into a convenient compartment — keeping food in its own special place. The perfectly sized containers store snacks and more while the insulated cooler bag and perfect-fit freezer pack keep food fresh. Bento also features plenty of pockets for superior storage and organization, padded tote straps, an adjustable messenger strap and patented Shuttle Clips so that it can attach to any stroller. This amazing bag is perfect for Dad. (and Mom, too!) 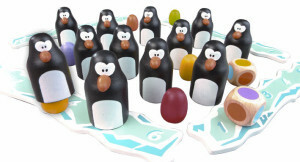 Available online at www.skiphop.com. Every Dad needs a great pen, and for the eco-conscious father, the Sarasa Eco-Clip Retractable Pen by Zebra just makes sense! Made with 81% post-consumer recycled materials, the pen will quickly become dad’s favorite! It features a soft rubber grip, retractable tip, strong pocket clip, and a translucent barrel to provide ink supply visibility to easily refill when low. 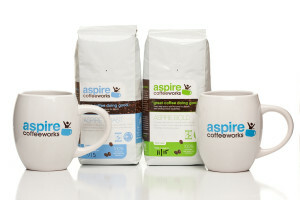 Plus, the packaging is made from 100% post consumer waste! For more information on Zebra Pen’s line of eco products, visit http://zebrapen.com/products/eco.